Serk118uk put some love and care into our ported Aros version of MilkyTracker, and made his work available for us to download. 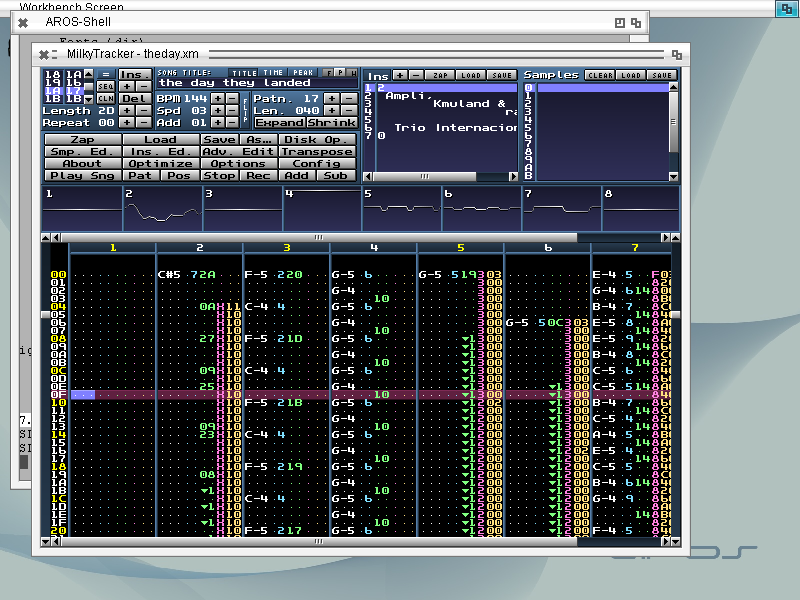 MilkyTracker is an open source, multi-platform music tracker application for creating .MOD and .XM module files. It attempts to recreate the module replay and user experience of the popular DOS program Fasttracker II, with special playback modes available for improved Amiga ProTracker 2/3 compatibility. Serk118uk adressed a couple of issues that were specific to the ported Aros version. More information about this port can be found at Serk118uk's blog-entry and can also be discussed in this thread. Please note that the download from Serk118uk only contains the main MilkyTracker application. It still requires an complete MilkyTracker package (provided by distributions) so that the main application can be replaced.